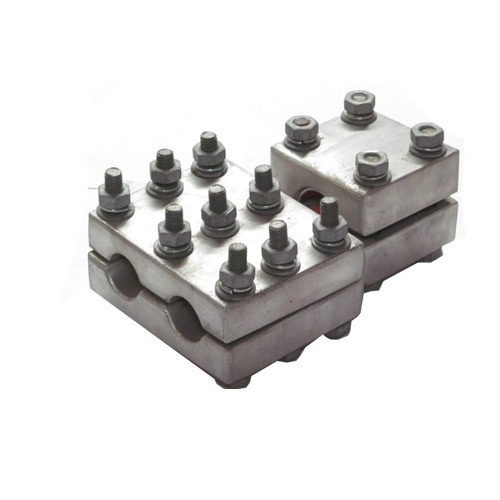 We are one of the prominent names in the market in offering a wide range of Twin ACSR Conductor Connector in the market. These products are made from optimum quality raw material that is sourced from trusted vendors in the market. These products are available in various sizes, shapes and designs to meet the diverse demands of our clients. Offered ranges of products are highly demanded in the market for their eye catching designs and leading market price. Established in the year of 2005, we Power Tech India are a reliable organization of this field actively engaged in Manufacturing, Service Providing and Supplying a broad assortment of Auxiliary Switch, Bimetallic Clamps, Desiccant Breathers, Conductor Connectors, Isolator Jaws, Cable Pulling Rollers, Electrical Substation Installation Service. These provided products are highly demanded for their effective results and long lasting features. All our offered products are made from optimum quality basic material provided by the trusted and certified suppliers of the industry.